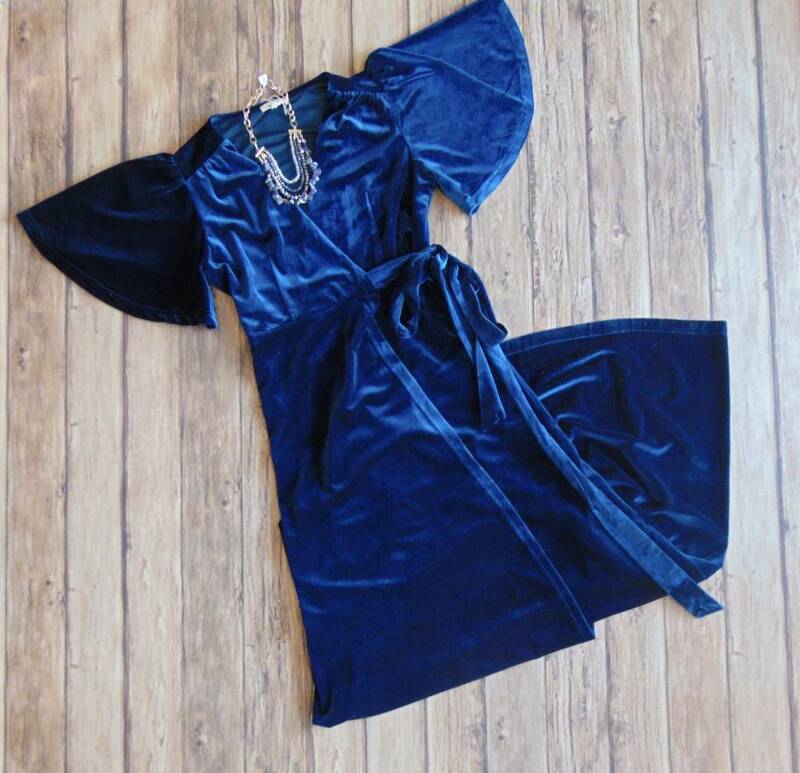 A Royal Experience Wrap Dress - Stori Anne Co.
90% Polyester/10% Spandex. Luxe velvet wrap maxi dress. Pair with some sparkly jewelry and pumps for the perfect Winter night out look.